Learn how to fix the “ERR_CONNECTION_TIMED_OUT: This webpage is not available” in Google Chrome. This error stops a website from loading in browser. Yesterday we published ways to fix the DNS error in Google Chrome browser. A couple of readers asked us to publish solutions for other similar problem. So, today we going to talk about how to fix the “ERR_CONNECTION_TIMED_OUT: This webpage is not available” error in Google Chrome. All of us encounter this error every now and then while surfing the Internet. You must have wondered whatever happened to the webpage and why is it not available. Let’s learn more about this problem and its solutions. Solution for ERR_CONNECTION_TIMED_OUT: This webpage is not available error. 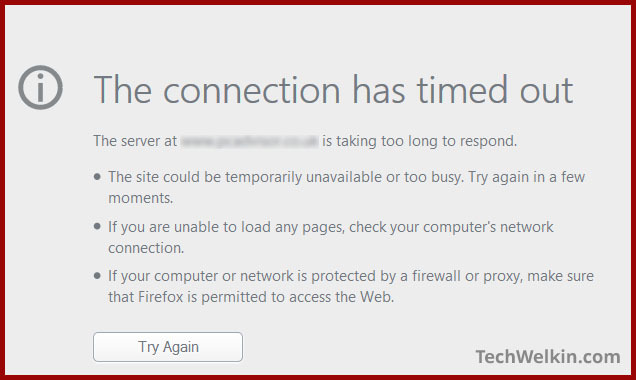 The error “ERR_CONNECTION_TIMED_OUT: This webpage is not available” normally indicates that your Internet connection is not responding. As soon as the connection is established, Google Chrome tries to reload the webpage and the content is usually loaded. So, first of all you should make sure that you’re connected with the Internet. The easiest way to ensure this is to go to some other web site (e.g. www.google.com) and see if it is working fine. If google.com loads, your Internet connection is all good. Now we need to figure out why that particular webpage is throwing ERR_CONNECTION_TIMED_OUT error. Go to File > Open and a dialog box will open up. 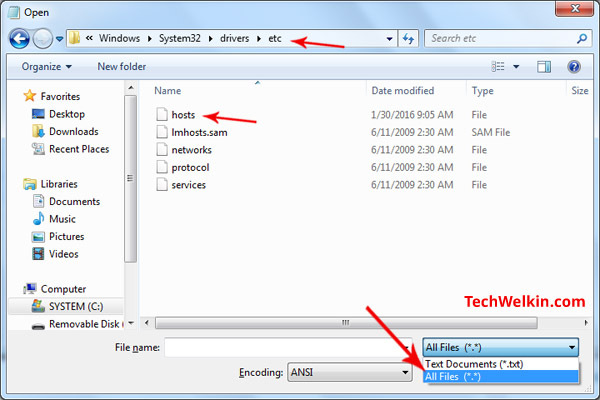 Location of the Windows hosts file. 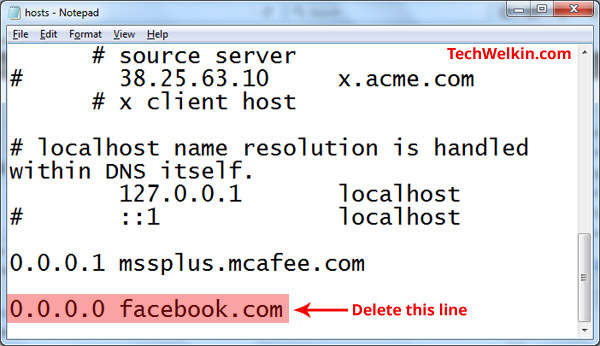 In hosts file if you see the URL of the website that is not opening, then delete that line. Make sure you delete only the relevant line. After restating the computer, try to visit the website and see if the ERR_CONNECTION_TIMED_OUT problem is solved. If the problem persists, try the following option. Flushing DNS entries may also resolve the “This webpage is not available” problem. However, if it is still not fixed, let try another thing. 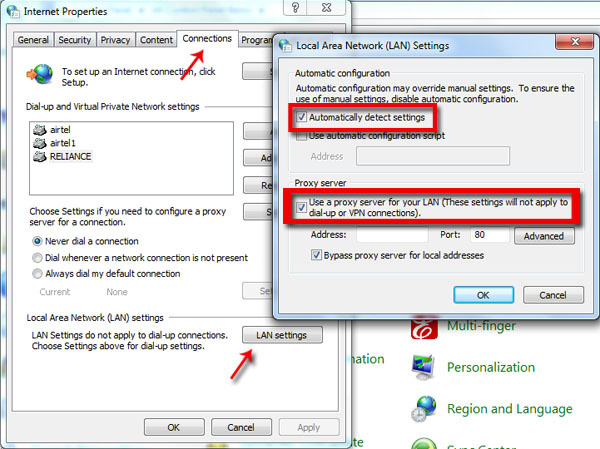 If your computer is receiving Internet connection through a Local Area Network (LAN) then you can try to tweak the proxy server settings in order to solve the problem. Change proxy settings in Windows. Click OK button to close boxes. If none of these methods work —then in all probability either the website you’re trying to open is down or the issue is at your Internet Service Provider (ISP) side. You can try to open the same website on another device (e.g. on your mobile phone) using a different Internet connection. If the website does not open there as well, the answer is clear that the website is down. In case the website opens on another device, then you should contact your ISP and tell them about the problem. The website may be blocked by the ISP. We hope that this article will help you in solving the “This webpage is not available” problem. Do let us know your experience / questions in this regard. Thank you for using TechWelkin. It really helped. Thanks a ton. I tried all of your suggestions, but I still cannot access one particular website. I don’t think my ISP is at fault, because I can access this same website via my smartphone. This is via a wifi connection, so it’s the same ISP, right? Do you have any other suggestions? This is so frustrating! Thanks in advance. Thank you. Stuff worked so well. Jeez the things I had to do before this. Good information sir. Thank you so very much for enlightening me.